Chaps is Coming to Rehoboth Beach, DE! We’re so excited to announce that Chaps will be coming to Rehoboth Beach. Our Rehoboth Beach pit beef location is scheduled to open March 12th, 2019! Located on the Delaware Shores, the Rehoboth Beach & Dewey Beach Resort Area is known for its award-winning boardwalk, awesome hotels, specialty stores, amusements, beautiful homes, tax-free shopping and some of the finest restaurants anywhere. And that list of great restaurants is about to be joined by Baltimore’s legendary Chaps Pit Beef. Soon you’ll be able to enjoy Maryland’s best pit beef in Rehoboth Beach, DE. Nice! Can’t wait! Where in Rehoboth will you be located? We’ll be opening in the Tanger Outlets. Hope to see you when we open! Right on Coastal Highway in the heart of Tangor! Can you be a little more specific where you will be located in Rehoboth? Picture deceiving. Definitely not part of outlets. Directly behind Iron Hill Brewery. Its in the same building, sort of behind Iron Hill Brewery. Right on route 1 next to Tanger Outlets. Behind Iron Hill Brewery, right beside the new Royal Farms. Any chance you’ll be open by first week in October? Hello. Congratulations on your pending opening. My name is Bob Yaple with 94.9 JACK FM radio here in OC. I have a very competitive rate of only $375 per month for 120 thirty second spots monthly.JACK is big in Baltimore at 102.7 and many people coming over the bridge seek us out for their listening pleasure. I would like to meet to show you how we can help build your business. I would like to apply for any employment positions you have open! I’m an experienced waitress/bartender/manager! How am I able to apply? Hello. Thanks for you interest in applying to our Rehoboth Beach location. You can submit an application at https://chapspitbeef.com/employment/. Be sure to choose Rehoboth as the location. When are you going to open? Havent seen much progress lately? It’s the 2nd. week of October…any chance you are opening soon? Will you be open by the first week of November? Hi, Unfortunately, we will not be open this week. We are working hard to open as soon as possible and looking to be open towards the end of 2018. Thanks for your patience! Hello. Unfortunately, we are not open yet. We plan on opening after the first of the new year. Thanks for your patience! Hey there. Do you have an opening date for Rehoboth Beach yet? I couldn’t find an email address to reach out to you regarding the position that we talked about at Michaels today. I was just wondering what the next step would be. The end of January is just around the corner…any update on opening yet? Thanks. When are you planning on opening? I cant wait! Thanks to everyone for your enthusiasm for our Rehoboth location. 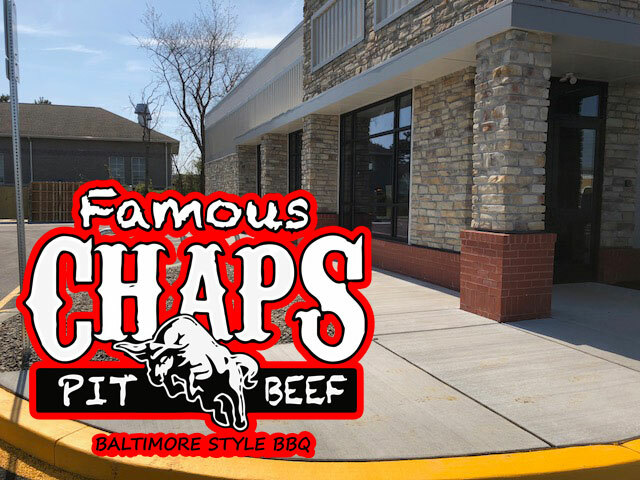 We are putting the finishing touches on our new location and Chaps Pit Beef Rehoboth Beach DE will open it’s doors in March. Please stay connected on our FB page and Instagram for more information. Hello everyone. Thanks for your patience. We’re excited to announce we’ll be opening our newest location in Rehoboth Beach, DE tomorrow, March 12, 2019! We’re also excited to announce we’ll be the first Chaps location with a bar! Come on by and say hi. We’d love to meet you. I heard you may be looking for a bartender?